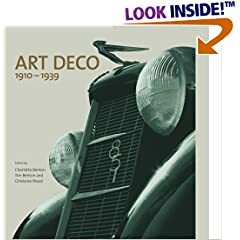 Think Art Deco and be transported to the Roaring '20s, a time of flappers, double-breasted, pin striped suits, speakeasies, decadence, and elegance. 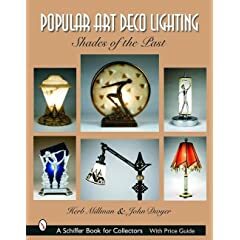 This era took place in the soft and romantic illumination of early electric lighting fixtures--which are showcased in this gorgeous new book Popular Art Deco Lighting: Shades of the Past. The beautiful and often fantastic Art Deco lighting in homes and public spaces alike are clearly works of art. Over 590 luminous color photographs show accent and figural radio lamps, boudoir lamps, table and desk lamps, overhead and wall lighting, and floor lighting produced by manufacturers such as Consolidated Glass, Lightolier, Lincoln, Moe Bridges, Williamson, Frankart, Nuart, and Chase. The book guides readers through various types of period lighting and provides a bibliography and value references in the captions for all the lighting displayed. It will be a valued addition to the libraries of interior decorators, restoration buffs, theater goers, and all who collect period lighting fixtures and enjoy beautiful works of art lighting from the Art Deco era.